1. Kennedy recap. 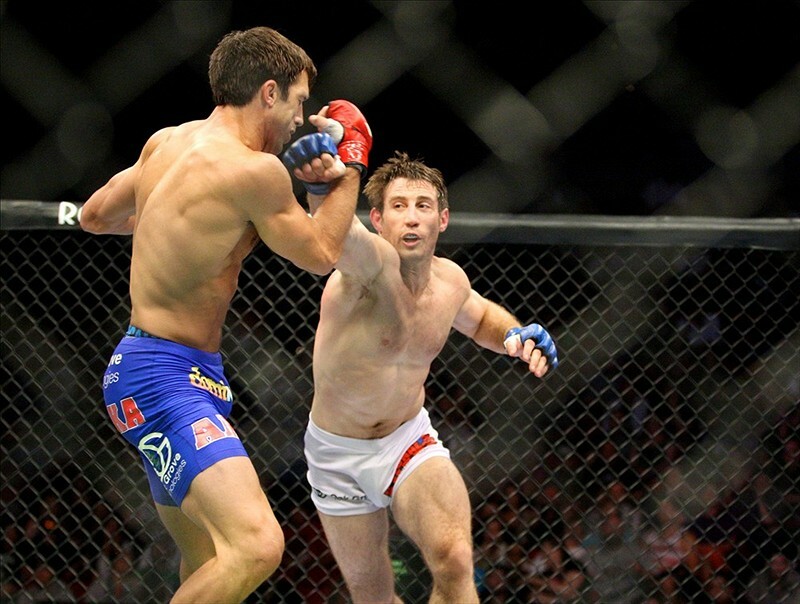 Special Forces soldier Tim Kennedy lost in his second try at the Strikeforce middleweight title Saturday night in Portland, Ore., falling to Luke Rockhold via five-round unanimous decision — the same way he lost his 2010 title bout against Rolando “Jacare” Souza. Read the After Action review, with video, here. Click here for full coverage from our good friends at MMAJunkie. 2. Now what? Read Sherdog’s suggestions for Kennedy’s next fight, including what could be a make-or-break rematch with Souza. 5. Breaking social media news. Bisping’s Twitter smack-talking is gearing up. Brian is a great fighter,an I have nothing but respect for him, but he’s in my way of the belt. So all that is out the window. Sorry! 6. Hurley back in top 10. As the Billy Hurley III backers running the Navy Athletics Twitter account pointed out, the Navy Academy grad’s eighth-place finish at the John Deere Classic this weekend was his second top-10 performance in three weeks. Hurley ended up tied with four other golfers at 14 under par, six shots behind Zach Johnson and Troy Matteson. Johnson won the tourney in a playoff. 7. More golf. Retired airman Dennis Webb didn’t fare quite as well as Hurley, missing the cut at his second U.S. Senior Open. Webb, an amateur who qualified late last month for his first Senior Open since 2009, shot 83-80 in the first two rounds, missing the cut. 8. Concussion notes. A new study on concussion rates at major colleges used the Army, Navy and Air Force teams as subjects, finding concussions nearly doubled from 2009 to 2010, rising from 23 to 42. Clearly a cause for concern, but with a caveat — the increase came after the NCAA’s new reporting rules went into effect, which include a statement athletes must sign pledging to report any head-injury symptoms. The 2010 number reflects an increase in reported symptoms, but that may not mean more players were injured. 9. Concussions, Part II. A good read at Stars and Stripes about the NFL using sensors in helmets to better track concussion data, a move the Army’s already made. 11. Olympic wrestler update. Army Spc. Justin Lester with a word about how great coaching has helped him get to the pinnacle of his sport — a berth in the Olympics, which begin in less than two weeks. Lester represents the U.S. and the Army World Class Athlete Program in the 66-kilogram (145.5-pound) Greco-Roman tournament. The video is part of a website offering tips for parents and coaches involved in youth sports. 12. Get your kicks. From Frank Schwab at The (Colorado Springs, Colo.) Gazette: Air Force senior placekicker Parker Herrington earned a spot on the preseason Lou Groza Award watch list. The short version, for those who don’t follow the Groza Award procedures as close as they should — Herrington, who led the Mountain West Conference with an 83.3 percent success rate on field goals last year, is seen as one of the top 30 kickers in college football, and could be in the mix for the award given to the best of the bunch as season’s end.